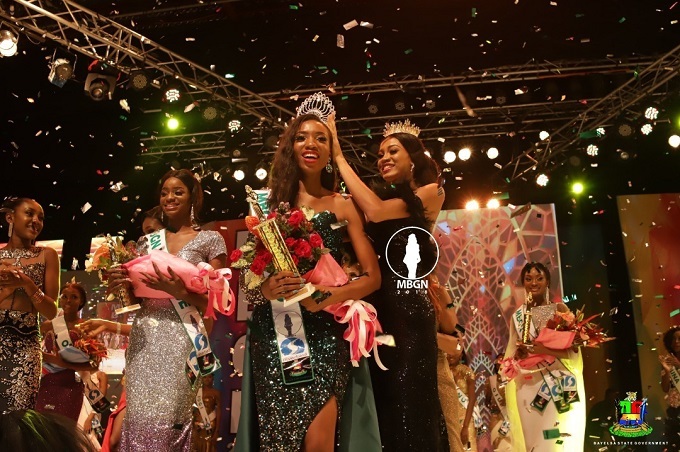 The 2018 Most Beautiful Girl in Nigeria (MBGN) pageant has come to an end with Miss Imo, Anita Ukah emerging as the new queen. Miss Anita will be representing Nigeria at the Miss World 2018 Pageant holding in December 8 in Sanya, China. With her is the First Runner-up Miss Lagos (Aramide Oluwatobi) who will represent Nigeria at the Miss Universe Beauty Pageant. Well done to all the ladies who competed in this years 2018 MBGN pageant but most especially a huge CONGRATULATIONS to Miss Imo (Anita Ukah) on taking home the crown as the new MBGN queen.